Is there anything more comforting than a mug of hot chocolate on a cold winter day? How about a glass of thick, rich eggnog while sitting next to a crackling fire? Guess what, it finally dipped below 70 degrees here in Georgia. Yippee! You know what that means. . . I can actually enjoy all of the winter activities and traditions. 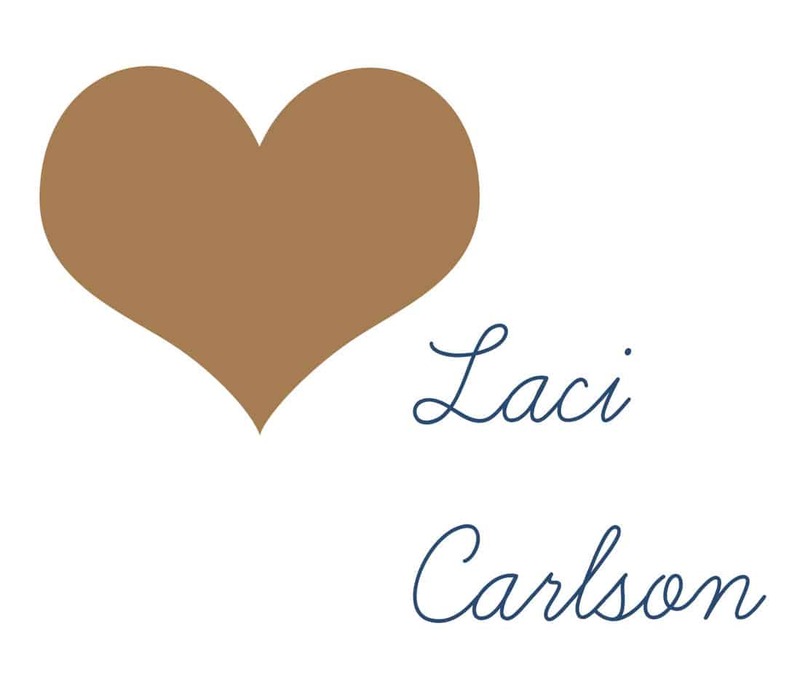 Like hot chocolate and warm fuzzy clothes. I just love a mug of hot chocolate on a cold day, especially after months of 100+ degree weather! I don’t always know when the craving is going to hit me. Luckily my 9 to 5 has Keurig’s placed everywhere. For hot chocolate, just heat and serve. Every year I host a fun hot chocolate bar for me, my mom, my sisters and the kids it’s so fun and neat we love traditions around here. And this is always the favorite treat! It’s so easy and actually really cute that sounds crazy I know but I look cute and neat looking foods/treats. Over the years my sisters and I found recipes that we each of us would enjoy making. They became “our recipes” in a sense that we individually were the ones to make it during the special occasion or holidays. This may be where my idea for having the kids take turns trying a new recipe on the weekends stemmed from. I loved having recipes that I made with my mother alone, it was a great way to bond with each us individually. 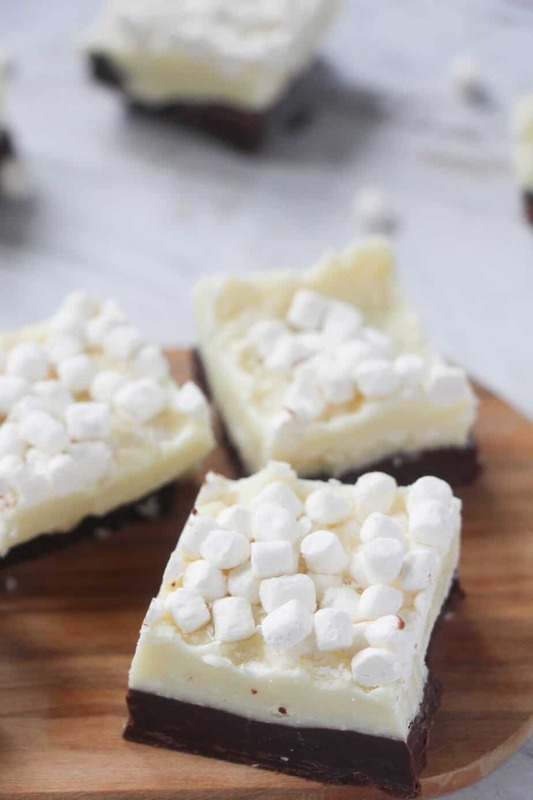 From early on my favorite recipe was marshmallow fudge. Line a square 9x9 pan with parchment paper. Set aside. 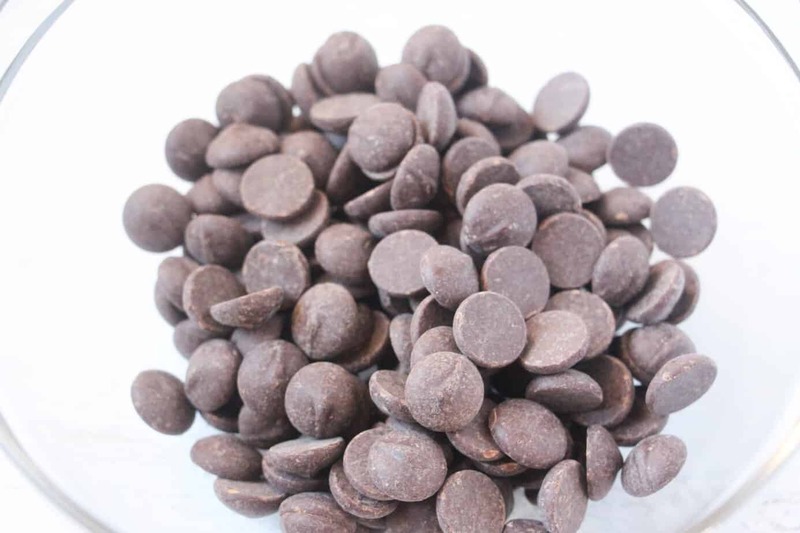 In a microwave-safe bowl, combine dark chocolate chips with 3 Tablespoons sweetened condensed milk. Fold the mixture out into the lined pan and smooth to an even layer using an offset spatula. 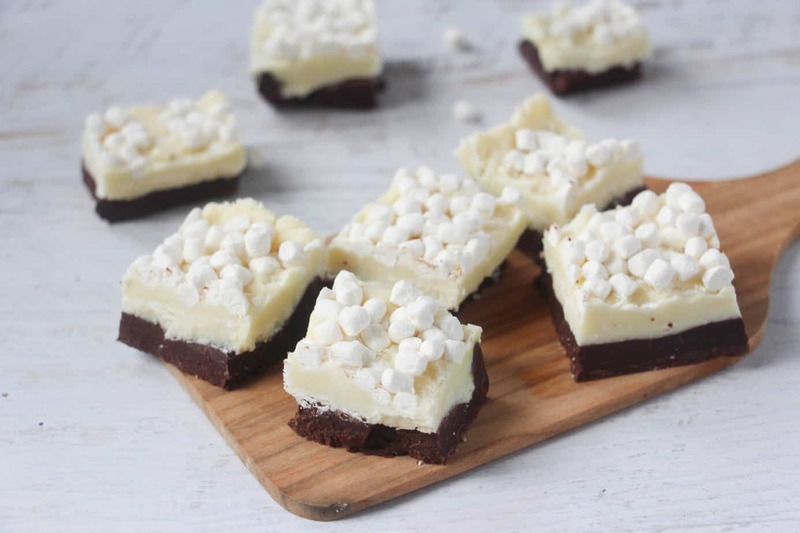 Place in the freezer as you deal with the white chocolate chips. 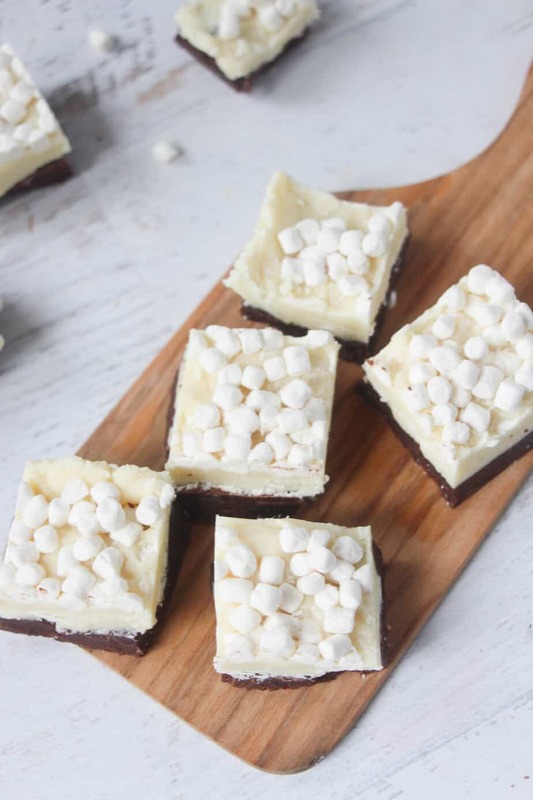 In a second microwave-safe bowl, combine white chocolate chips with 3 Tablespoons sweetened condensed milk and repeat the same heating procedure as for the dark chocolate chips. 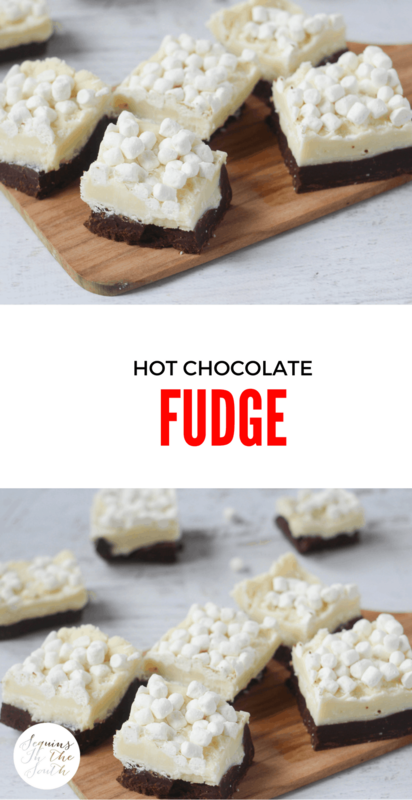 Layer the white fudge layer over the dark chocolate layer and smooth with an offset spatula. 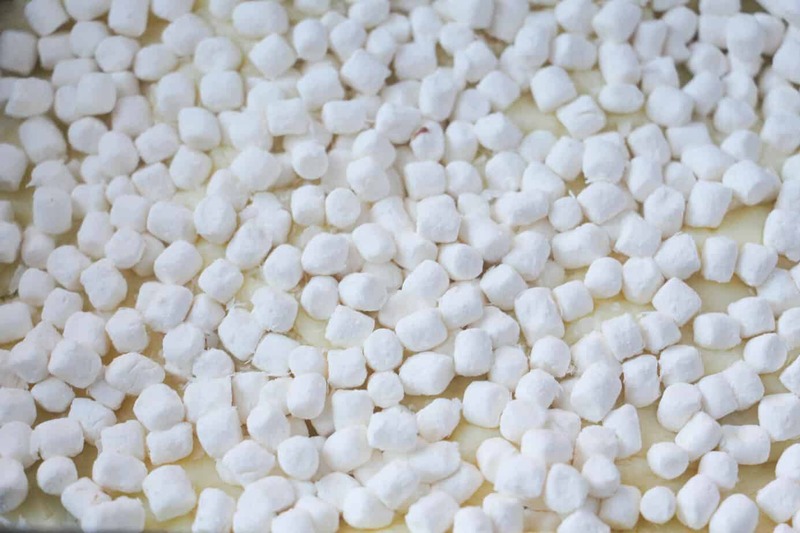 Press in your mini marshmallows and refrigerate at least 4 hours (or overnight) to set. When ready, remove pan from fridge and remove the fudge from the pan, then the parchment paper. 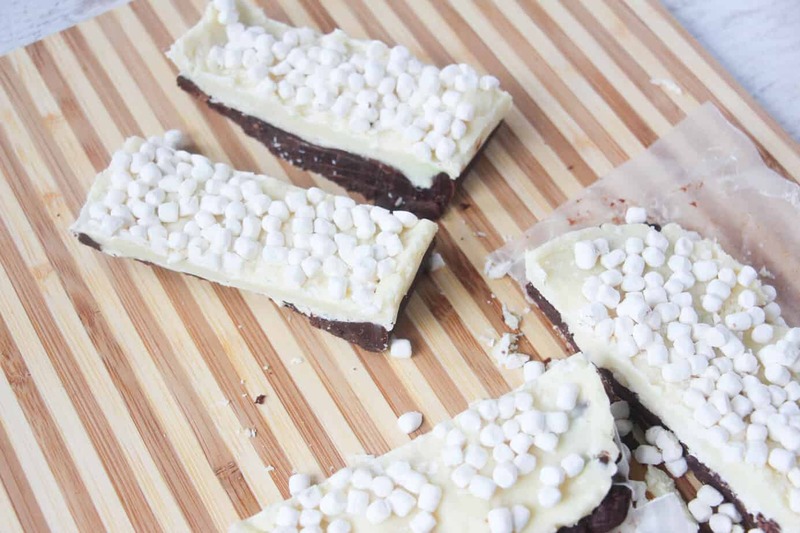 Cut into inch squares for bite-sized servings.